Pinterest is the place where the world logs its dreams and looks for inspiration. There are countless boards of people’s idyllic wedding ideas, outlandish recipes to try out, and every other hope, whim and desire they have. And, just like every other social media platform, there are influencers and big businesses which know how to leverage this platform to their advantage. Our tips will help you join and climb the ranks of these giants, it’s surprisingly simple, so let’s get to it! Obvious though it may seem, to build a brand and following on Pinterest you need to be posting and prioritising your own content. 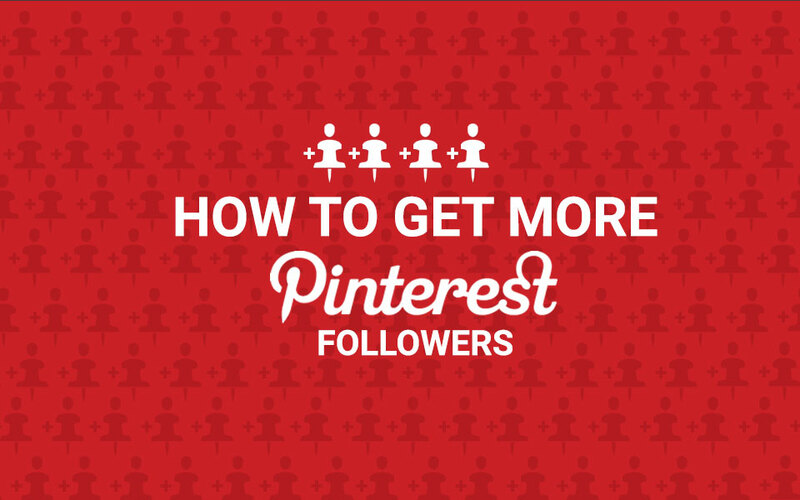 Even though 80% of the content on Pinterest is re-Pinned content, in order to stand out you need most of your content to be part of the unique 20%. So what kind of content should you be posting specifically? Well, anything that accurately connects with or represents your brand and product. Whether that’s recipes, personal blogs, business based how-to guides or the occasional inspirational quote… the list goes on, and hopefully, you get the idea. How you post this content is entirely up to you, you could opt for an individual image with a link to a landing page of your choice. Or you could go for a long infographic that guides your reader in their quest to possess a skill. By becoming a source of new inspiration and education, you raise your profile without ever having to spam email a potential client. Let the right 10 leads come to you, rather than chasing 50 wrong ones. You always want keywords, that’s just a given in SEO, and Pinterest is no different. Make sure you’re including the keywords you want to be associated with your brand so that the right leads are finding you and your content. When you do this make sure that you’re using language which comes from the searcher’s point of view, people are generally on Pinterest to solve a problem or fill a void. So, phrase your work around what problems they’re looking to solve as opposed to immediately suggesting a solution. Although we’ve stressed the importance of posting your own content, you need to face the fact that you don’t have enough of your own content, to begin with. As time goes on, you’ll be able to make your Pinterest profile more focused on your own creations but to start you need to be Pinning other people’s work too. Not only does this boost your total number of Pins, it also shows that you’re willing to engage with and learn from others. All of this encourages the original Pinner to engage with your work too, which in turn will encourage their audience to take a look as well. When you do re-Pin other people’s work, it’s worth remembering that you can alter the descriptions for the Pins, which is a perfect opportunity to make sure you’re including keywords which relate to your brand and original content. It’s not enough just to Pin other people’s content though, you need to be actively engaging with it. Leave positive comments, follow their boards and whole profiles — if they line up with your brand’s aims entirely. Like Instagram and Snapchat, there is a reciprocity trend which a lot of users adhere to, ie. “you follow me, I follow you”. This is a great way to raise your own awareness, and useful in that you’re now going to be inundated with relevant content that you can re-Pin. It all works together in the bigger Pinterest picture. Many of us are guilty of ignoring our social networks from time to time, and this is just as disastrous a behaviour as it is on any other platform! Posting sporadically won’t encourage a consistent stream of leads, or a steadily growing following; you should be posting on Pinterest just as much as you do on Twitter. In fact, you might want to be focusing on Pinterest more than Twitter because a recent study shows that Pinterest generates 4x as much revenue (per click) as Twitter! It’s time to get off of your Pinterest page this time, and now ask yourself, are you making sharing and Pinning your content as easy as it could be? If you’ve not got Pinterest sharing buttons on your web pages, add them, add them now! If a user has to go through multiple steps to Pin your work, it’s highly likely that they won’t. We’re all lazy, and if another provider makes it easier to Pin their work… well, the likelihood is that we’re going to opt for the easy route. So, add those sharing buttons now, there are a number of plug-ins that you can use, you just need to decide which one is best for you. This is the other side of the coin to Tip 6! Because once you’ve made your other pages Pinterest friendly you want to make your Pinterest account Facebook friendly, and Twitter friendly and Instagram… there’s no need to list every platform here. By moving your Pinterest audience across to other platforms you’re able to maximise the exposure of your other file formats and grow your overall audience. Finally, you could consider running giveaways and other competitions from your Pinterest account, but remember that your included/product must adhere to Pinterest’s strict guidelines — keep it kid friendly and you should be fine. You can read their full guidelines here. Make sure that you’re not spamming, and you’re not encouraging spamming behaviour, it gets old fast and you’ll only lose credibility with your audience. Pinterest is all about quality over quantity and you should remember this in every aspect of your Pinterest marketing strategy! Have a look at competitions other people have run for inspiration, you’ll quickly figure out which practices you want to emulate or avoid. Now you’ve got some ideas and (hopefully) some new inspiration get out there and make Pinterest work for you and your business! If you want to take a look at how to run specific adverts, we have another blog, How to Advertise on Pinterest, which you can take a look at, but for now, get out there and Pin to your heart’s content.